NTT Inc. - Is NFPA 101 the same as the Life Safety Code? 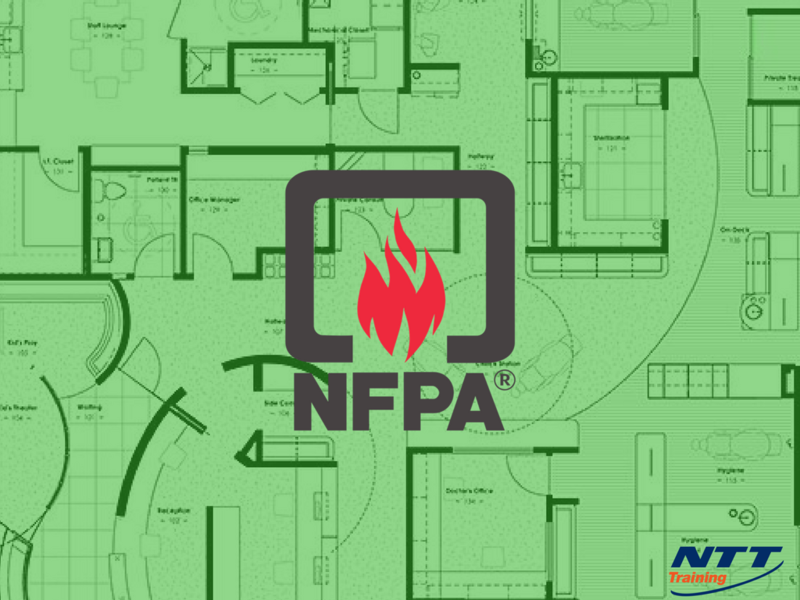 Is NFPA 101 the same as the Life Safety Code? When learning about safety precautions and codes for your office, place of business, or just for general safety features, the term NFPA 101 or Life Safety Code often comes up. The two terms may seem to be interchangeable. But are they really the same? If you own a business, housing complex or another facility, the safety codes cover fire protection and is published by the NPFA (National Fire Protection Association). Educating yourself on NFPA 101 and the Life Safety Code is vital to not only protect workers and residents of a particular facility, but also to help keep your building up to code. How Is NFPA 101 and Life Safety Code Similar and How are the Two Different? This is where many business and facility owners become confused. When discussing fire safety standards, some will talk about NFPA 101 while others will point towards the Life Safety Code. Which code should you look towards and which one is the most important? The two terms are often used interchangeably because the two are in reference to the exact same safety code. The National Fire Protection Association puts out its NFPA 101 publication titled “Life Safety Code.” So while the technical name of the code book is NFPA 101, the title printed on the front of the code is Life Safety Code. This title is used simply to make it easier to recognize and to identify it from other code handbooks out there. So the next time someone brings up one or the other, just know the two are one in the same. This should clear up any confusion about fire safety codes and what your building needs to adhere to in order to remain up to code. The code book “Life Safety Code” has been in publication for over 100 years (with many different updates over the course of this time). The first Life Safety Code came out in 1913 and was published by The Committee on Safety to Life. The Committee on Safety to Life is a committee inside of the National Fire Protection Association. During the first publication, the committee studied the effects of fire on buildings, building materials and the most common causes of fires within residential and commercial properties. The creation of this first handbook has gone on to establish many of the fire safety standards in use today. The publication received an update in 1927, which focused on the importance of available fire exits within buildings. Before this time, most buildings did not have adequate exits for individuals inside to get out in the event of a fire. Following this publication, six more versions were released over the course of two decades. Beginning in the 1950s, Life Safety Code received three different document publications in order to cover not just standard facilities, but a nursing homes and interior finishes. Why is it Important to know about the Life Safety Code and NFPA 101? The Life Safety Code Handbook doesn’t just list the code, but explains it so workers and employers can understand why the rules exist and how to follow them. Moreover, the code changes every 3 years, making it important for everyone to stay up-to-date on code standards. Industry safety training is important for making sure the correct procedures are followed and all workers are safe while performing their duties. In order to educate yourself on the latest NFPA 101: Life Safety Code handbook, it is important to enroll in an accredited course. NTT, Training offers this educational course and will go over the handbook, clear up questions you might have and give you all the necessary insights required to keep your building and those inside of it safe. Contact us today in order to find out more information about this important training opportunity!